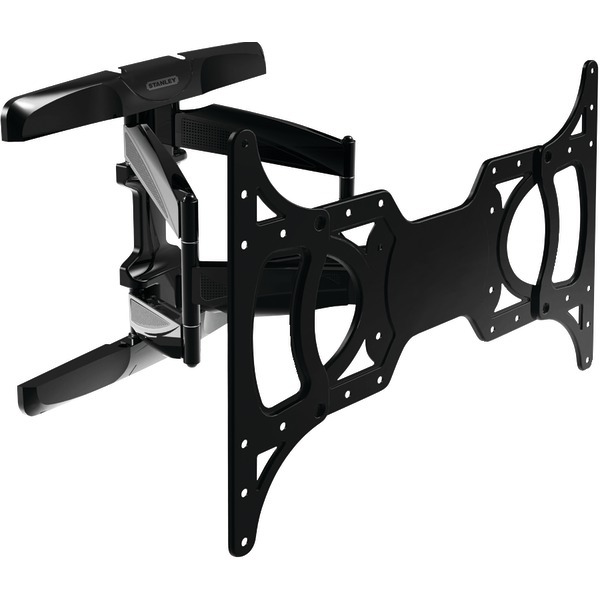 The Ematic 23" to 47" TV Wall Mount Kit safely mounts your TV to your wall. The adjustable arm lets you get the best view possible. Includes all mounting hardware and features a built-in level for easy installation. 6ft HDMI cable included. 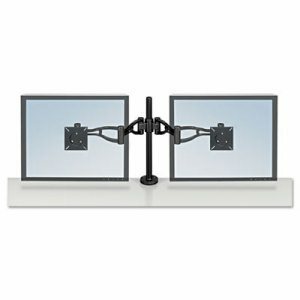 Designed for LCD monitors and displays up to 47" and 99lbs / 45KG. Made from high quality aluminum alloy for added strength and durability. Fully compliant with VESA 400 x 400 mounting standards. Completely adjustable for optimal viewing: 12 tilt swivel. Extends up to 21.4" from the wall. Two-piece design allows for fast and easy installation and removal. Hardware kit and mounting guide included. 6ft HDMI cable included. This item cannot be shipped to APO/FPO addresses. Please accept our apologies. 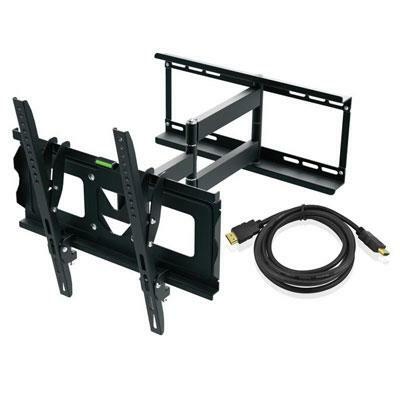 Universal Flat-Panel TV Articulating Wall Mount Double arm supports one 13" to 27" TV. Overcome odd floor plans annoying glare and awkward furniture placements that can limit flat-panel TV experiences. 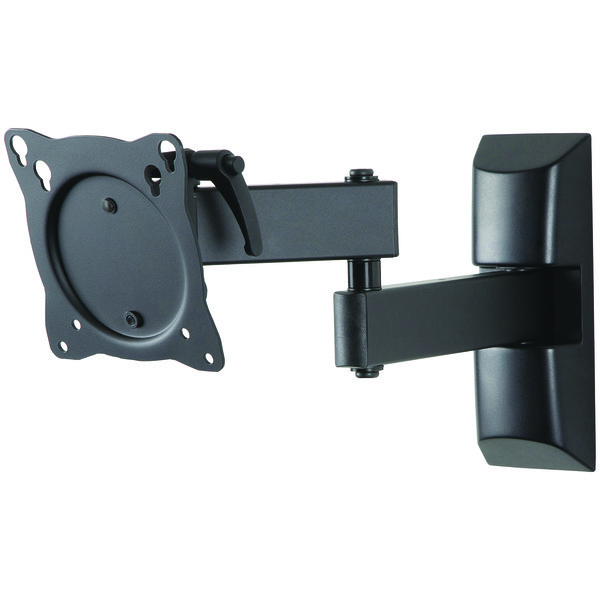 Manhattan Universal Flat-Panel TV Articulating Wall Mounts fold nearly flat against the wall and safely extend on a strong double-arm framework that helps realize prime viewing positions from almost anywhere in the room. 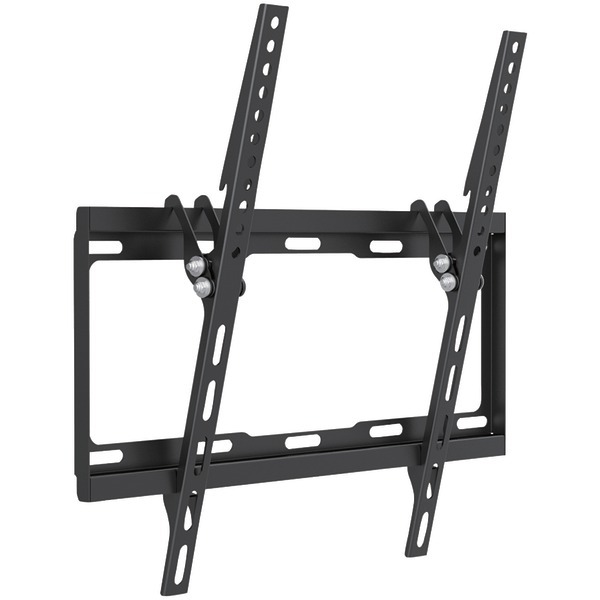 VESA-compliant and constructed of quality materials Manhattan Universal Flat-Panel TV Articulating Wall Mounts fit a range of display sizes with a secure and confident above-the-floor installation. 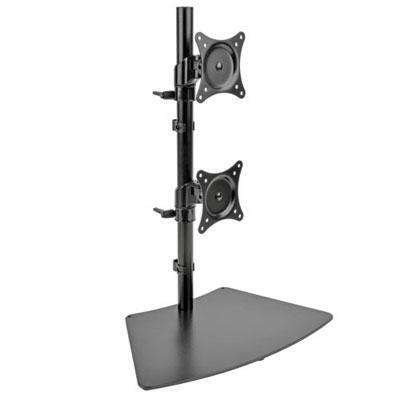 Ideal for residential office hospitality classroom and conference room digital signage and other commercial applications Manhattan Universal Flat-Panel TV Articulating Wall Mounts bring high-performance LCD TV enjoyment front and center. This item cannot be shipped to APO/FPO addresses. Please accept our apologies. Planar Dual Monitor Stand - TAA Compliant. 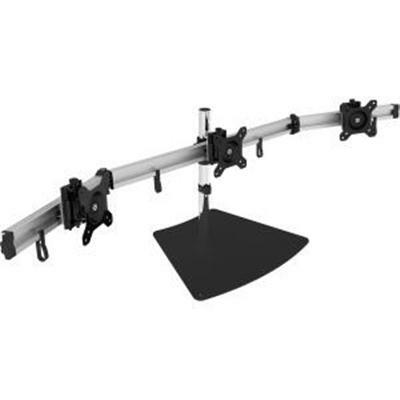 Supports LCD monitor between 15 and 24 inches and weighing less than 26 lbs (12 kg) per arm. 75mm or 100mm VESA This item cannot be shipped to APO/FPO addresses. Please accept our apologies. The Telehook TH-3060-UT is a tilting wall mount solution for the latest generation of consumer LED/ LCD displays. 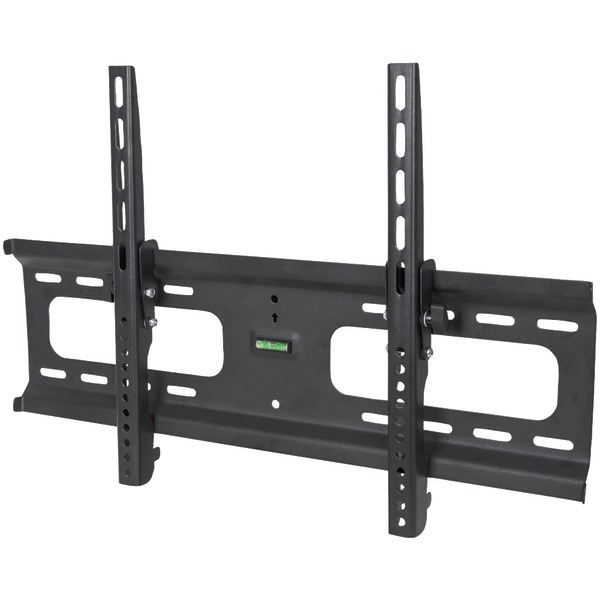 If you have a 32" or larger flat screen TV under 50kg that you wish to mount with an adjustable viewing angle or added security then this may be the product for you. The black finish provides a nice look while quality construction ensures a lifetime of worry-free operation. 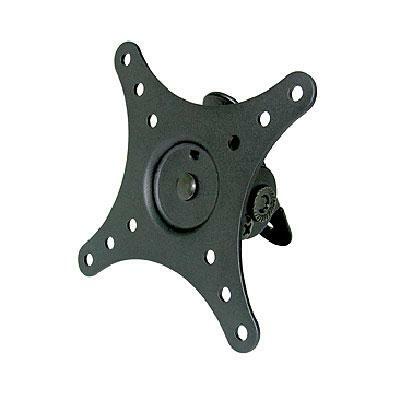 A mounting plate affixes directly to the wall while brackets attach to the display using screws included in the pack. 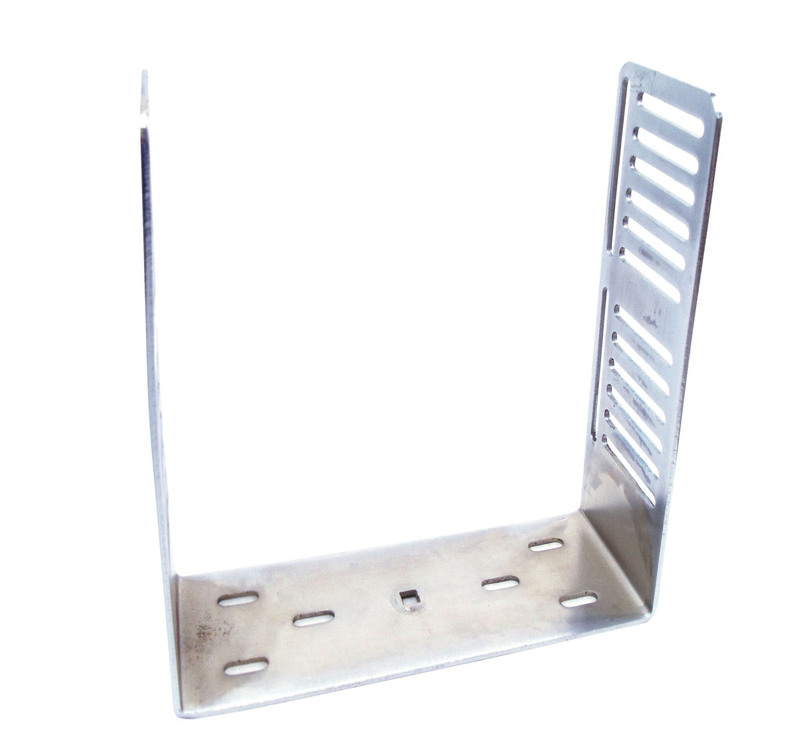 The wall plate incorporates a spirit level and slotted holes for easy alignment while the brackets allow for horizontal and tilt adjustment post installation This item cannot be shipped to APO/FPO addresses. Please accept our apologies. 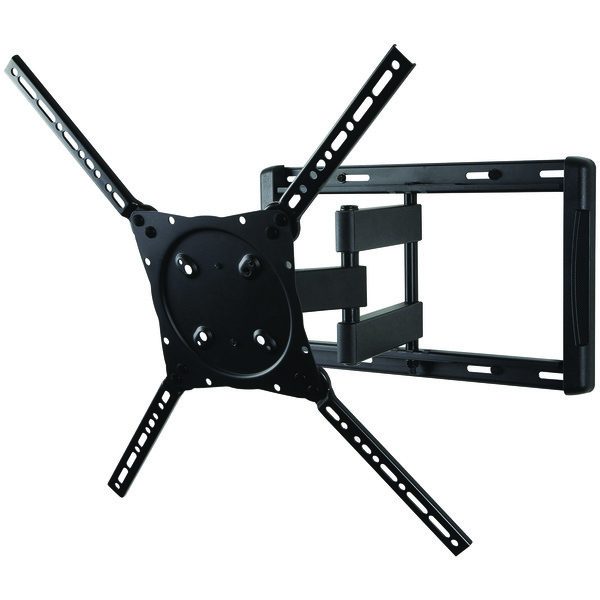 The Ematic 10" to 49" TV Wall Mount Kit safely mount your TV to your wall. Completely adjustable for optimal viewing: +15 / -5 tilt and 180 pan/swivel. Includes all mounting hardware. 6' HDMI cable included. 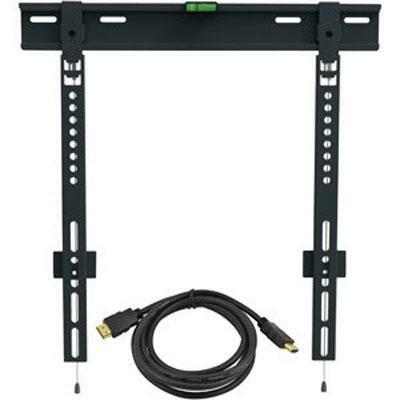 Designed for LCD monitors and displays up to 49" and 66lbs / 30KG. Made from high quality aluminum alloy for added strength and durability. Fully compliant with VESA 50 75 100 150 x 200 and 200 mounting standard. Completely adjustable for optimal viewing: +15 / -5 tilt and 180 pan/swivel. Extends up to 10.6" from the wall. Two-piece design allows for fast and easy installation and removal. Hardware kit and mounting guide included. 6' HDMI cable included. This item cannot be shipped to APO/FPO addresses. Please accept our apologies. 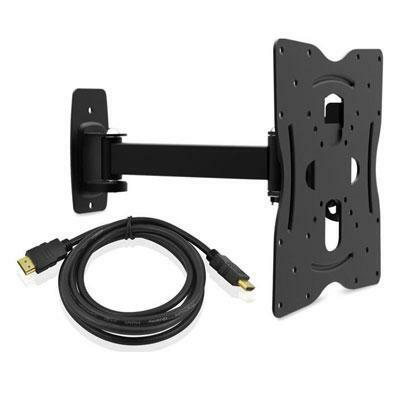 Easy to install tilting LCD TV/monitor wall-mount - 10" to 26" This item cannot be shipped to APO/FPO addresses. Please accept our apologies. 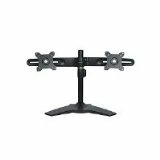 Dual-Monitor TV Desktop Display Mount Stand Full Motion 13"- 27" This item cannot be shipped to APO/FPO addresses. Please accept our apologies. Security Countertop Kiosk & POS Stand for iPad. 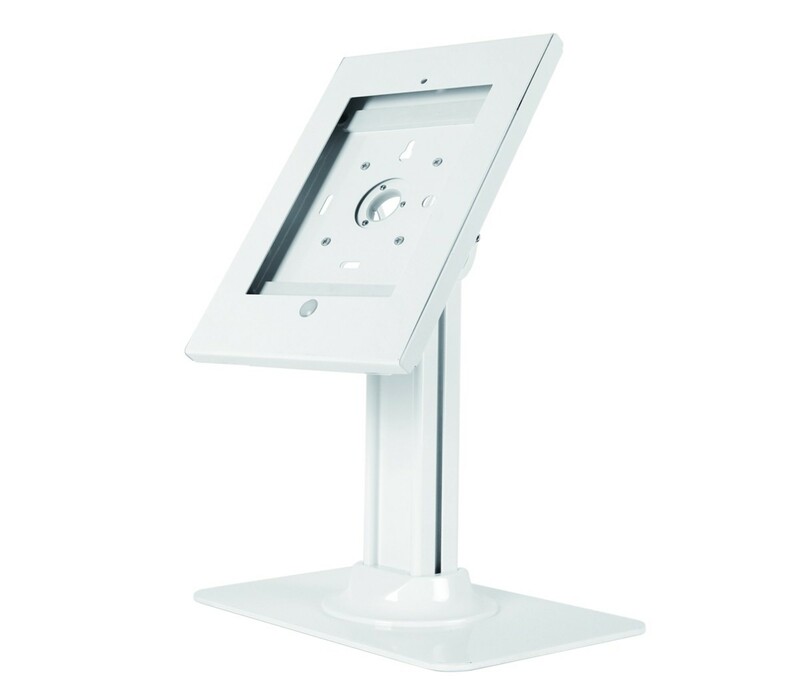 Safely and securely mounts your iPad onto a countertop Kiosk or POS stand. This item cannot be shipped to APO/FPO addresses. Please accept our apologies. Dual Mnitr Dsk Stnd 13" to 27" Dual Mnitr Dsk Stnd 13" to 27"
Dual Monitor Desk Stand - 13" to 27". Side-by-side dual monitor stand - conserves valuable desk space. This item cannot be shipped to APO/FPO addresses. Please accept our apologies. 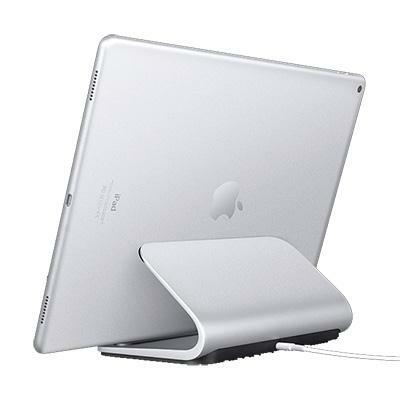 Base Charging Stand with Smart Connector technology for iPad Pro (12.9-inch) iPad Pro (9.7-inch) This item cannot be shipped to APO/FPO addresses. Please accept our apologies. The Platinum Series Dual Monitor Arms are fully independent with innovative gas spring technology that allows for effortless monitor adjustment. The intuitive cord management system helps minimize clutter. Two 3.0 USB ports located at the base of the product make it easy to connect to your favorite devices. 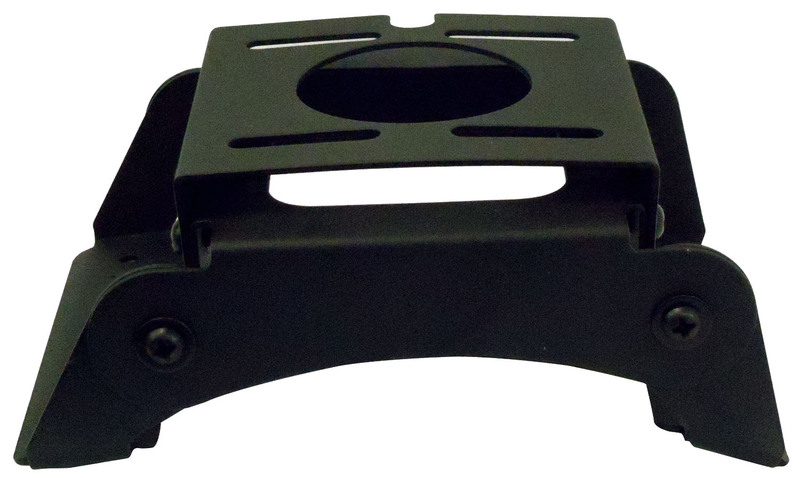 Easy to mount can be mounted via clamp on desks between .8 and 4.7 thick or grommet hole between .3 and 2.9. Each arm holds a monitor up to 20 lbs. 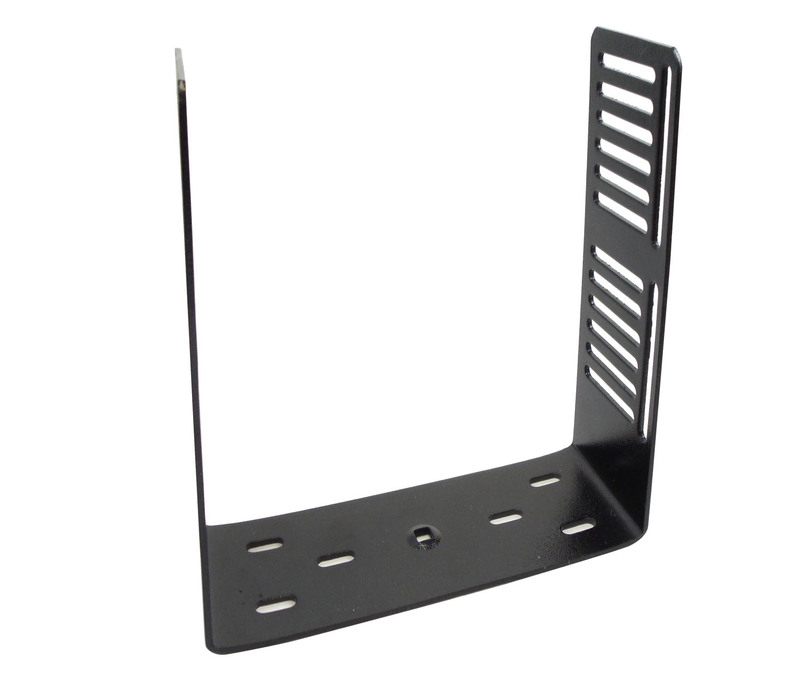 Meets VESA mounting standards. This item cannot be shipped to APO/FPO addresses. Please accept our apologies. Trpl Mnitr Dsk Stnd 13" to 27" Trpl Mnitr Dsk Stnd 13" to 27"
Easy-Adjust Triple Monitor Desk Stand - 13" to 27". Premium side-by-side dual monitor desk stand conserves valuable desk space. This item cannot be shipped to APO/FPO addresses. Please accept our apologies. 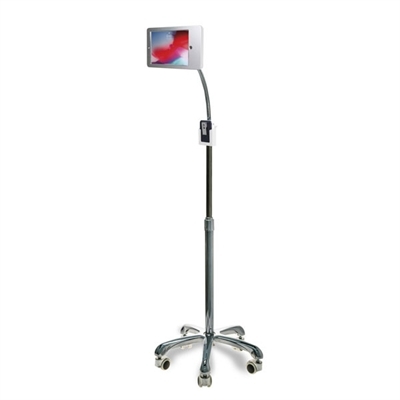 This extremely durable security floor stand for iPad gives you mobility and multi-point adjustment in one convenient package. Your tablet stays protected from theft within the padded aluminum enclosure with a powerful lock and key security mechanism. The telescoping height adjustable pole and flexible gooseneck allow virtually infinite positioning options while the 360-degree rotating enclosure accommodates portrait and landscape display options. Its open design allows access to your tablet?s ports cameras buttons and headphone jack for compatibility with credit card readers. The case is equipped with interior cable slack management space and a rubberized cutout at the rear so your device stays charged while in use. The stand is also outfitted with 5 lockable swivel casters. Also included is a multi-purpose storage cradle which attaches to the central pole and can hold a battery pack stack of business cards or other accessories. This item cannot be shipped to APO/FPO addresses. Please accept our apologies. 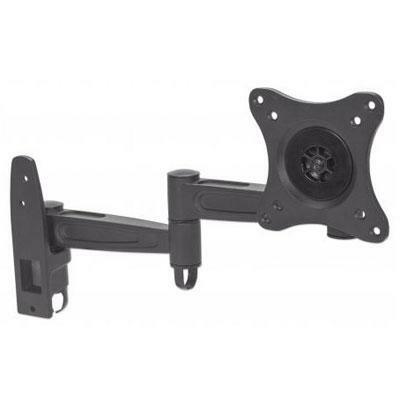 3M Easy Adjust Desk Mount Dual Monitor Arm Black MA260MB This item cannot be shipped to APO/FPO addresses. Please accept our apologies. 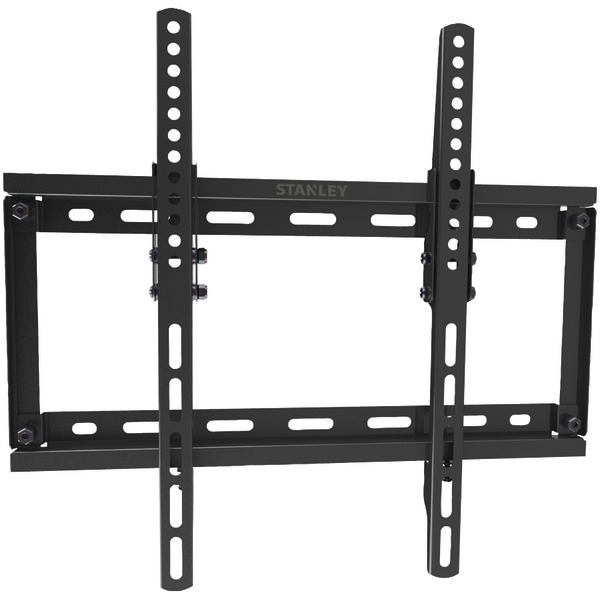 The Ematic 23" to 46" TV Wall Mount Kit safely mount your TV to your wall. Includes all mounting hardware and features a built-in level for easy installation. 6' HDMI cable included. 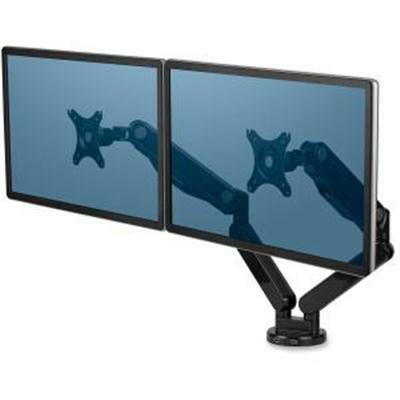 Designed for LCD monitors and displays up to 46" and 77lbs / 35KG. Made from high quality aluminum alloy for added strength and durability. Fully compliant with VESA 75 100 100 x 200 and 200 mounting standards. Extends up to .43" from the wall. Two-piece design allows for fast and easy installation and removal. Hardware kit and mounting guide included. Lift and hook design for easy installation. 6' HDMI cable included. This item cannot be shipped to APO/FPO addresses. Please accept our apologies. Is your desk or floor a cable spaghetti and looks like a mess? Are your cables all cluttered and it gets on your nerves to untangle them? Is your phone battery almost dead and you can?t find the cable because it's somewhere behind the nightstand or under your bed? Not anymore! With the Macally CABLEHOLDMAG you keep your cables organized within reach and the area around them clean! 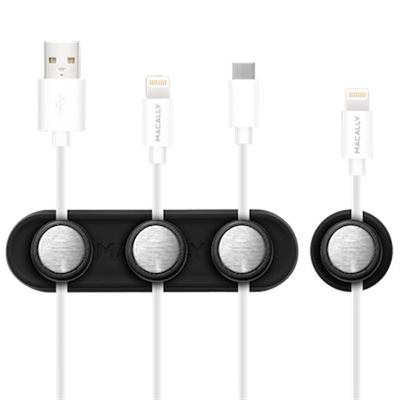 The Macally CABLEHOLDMAG package consists of one large magnetic base bar with 3 cable clips for your home/office and 1 small magnetic base button with matching cable clip for your car or wherever you need it. FEATURES: Clips fit all standard USB Lightning audio and type-c cables between 2.4 and 4.5 mm diameter Keep your cables organized and the area around them clean! Find your cables easily! One large magnetic base bar one small magnetic base button and 4 cable clips Dual sided metal clips that don't slide down the cable BENEFITS Magnetic cable organizer keeps your cables together and the area around them clean This item cannot be shipped to APO/FPO addresses. Please accept our apologies. 3 Adjustable Angles - The Macally NBSTAND is a laptop stand with three easily adjustable angles (19 24 and 27 ) to improve your typing and viewing experience. By doing this you reduce neck pains and headaches that are the result of a bad posture. Maximum Stability - The Macally NBSTAND made out of high quality and solid aluminum material with an easy to assemble clear ABS bridging structure has a tilted design with raised front edges and a non-slip pad to give your laptop maximum stability. Keep it Cool - The aluminum material and open design allows all around natural air flow to keep your laptop cool. Easy Assembly - The laptop stand is easy and quick to assemble with the included screws and screwdriver. Perfect Match - Made out of sandblasted aluminum with a silver anodized finish it's specially designed for Apple MacBook MacBook Air and MacBook Pro yet it also works with any laptop between 10" to 17" FEATURES: Three adjustable heights for the most comfortable typing and viewing ex This item cannot be shipped to APO/FPO addresses. Please accept our apologies. 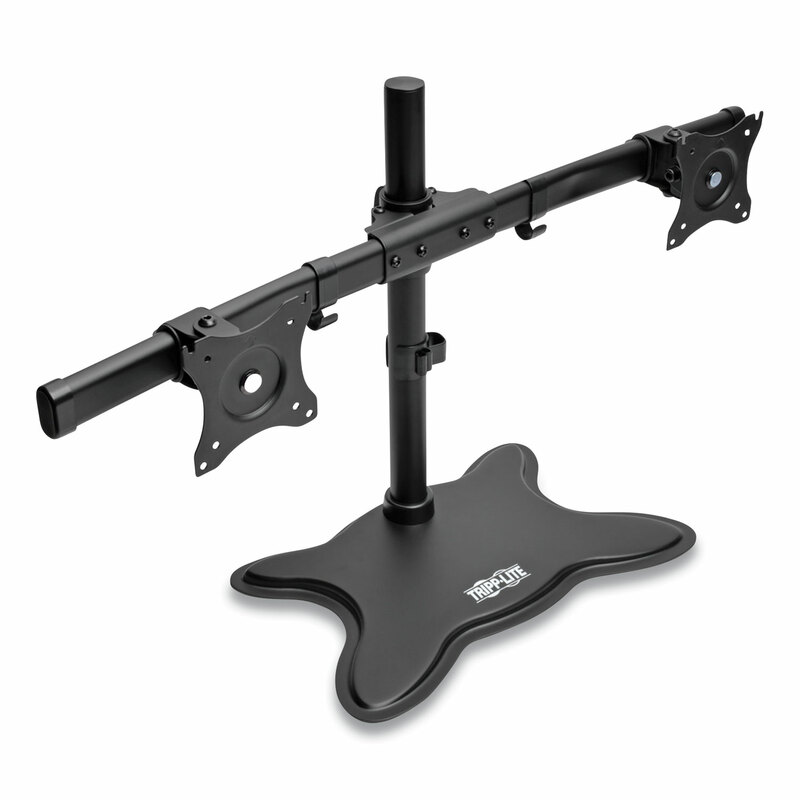 Short monitor arm on 20.7" (525mm) post. Holds up to 17.6lbs (8kg) and recommended 34" screen. Desk clamp & Bolt through components included.Vesa 100mm. Quick release head. This item cannot be shipped to APO/FPO addresses. Please accept our apologies. 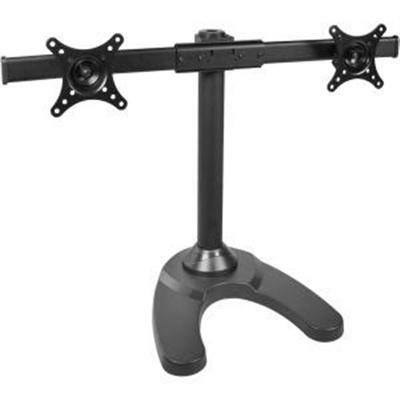 Desk Mount 15 to 27" Desk Mount 15 to 27"
Dual Vertical Desk Mount Monitor Stand Swivel Tilt Rotate 15-27" Dual vertical mount that can be a desk stand or clamp version. Both bases are included for customer flexibility. This item cannot be shipped to APO/FPO addresses. Please accept our apologies. 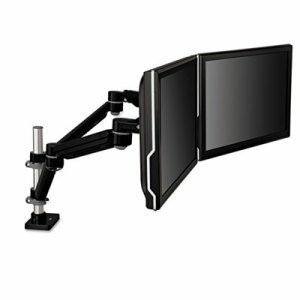 The Fellowes Professional Series Depth Adjustable Dual Monitor Arm features twomonitor arms that adjust easily in every way for optimum viewing control. 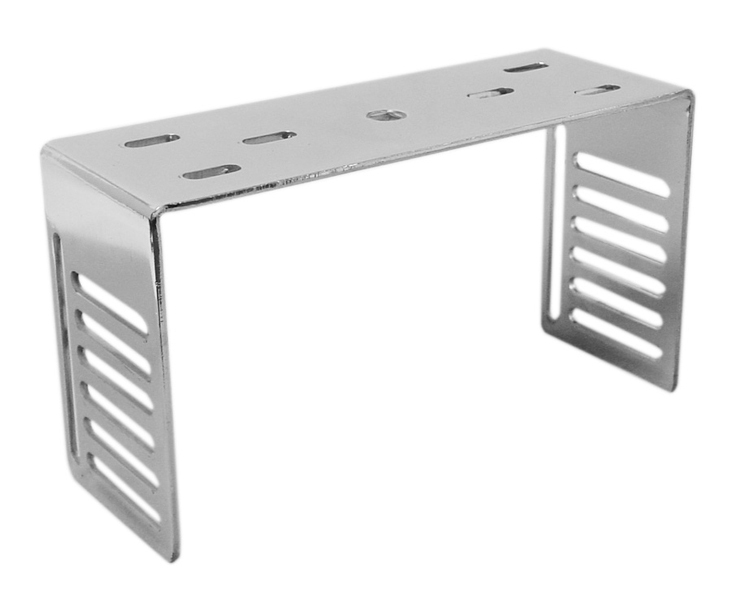 Easy to mount--clamp attaches to desktops 1"-3" thick or through grommet hole. 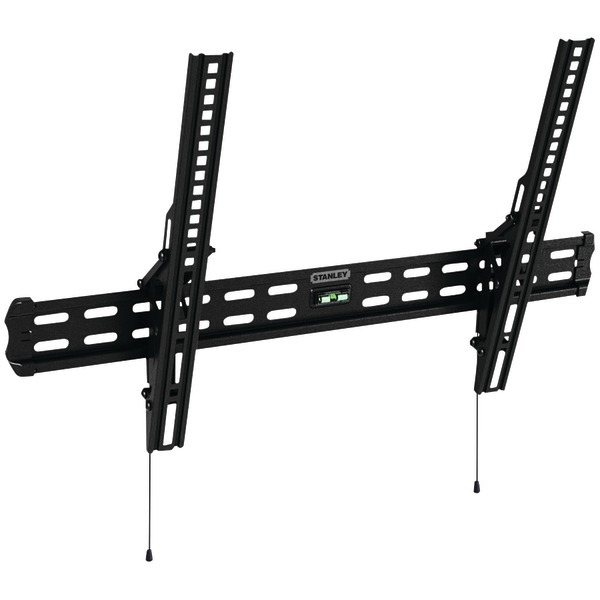 Elevates LCD monitors from 3-1/2" to 16-1/2" above the desk with a reach of 2-1/2"-27". Tilts up or down +/- 37 degrees and freely swings left or right (360 degree rotation capability). Each arm holds an LCD monitor up to 24 lbs. 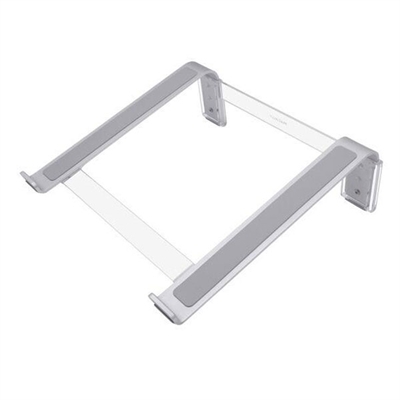 Meets VESA mounting standards. This item cannot be shipped to APO/FPO addresses. Please accept our apologies.